7.5" x 7" x 28". 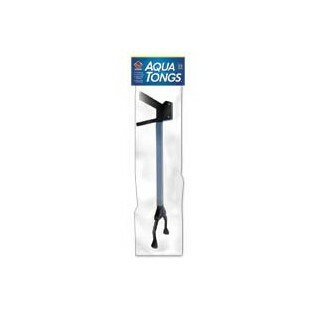 Coralife Aqua Tongs are a great tool for preventing contamination in the aquarium. Aqua Tongs are designed with a powerful grip for grasping large objects and precision control for small, delicate objects enabling the aquarist to work in hard-to-reach areas of the aquarium. Aqua Tongs are safe and easy to use. Built with stainless steel components, these rugged tools will not rust or corrode and are designed to last for the life of your aquarium. For use in marine and freshwater aquariums.